Entrepreneur / owner expressed interest in monetizing business to reduce portfolio concentration risk and retire to pursue other interests. SDI was a provider of instrumentation software driving primarily laboratory equipment. 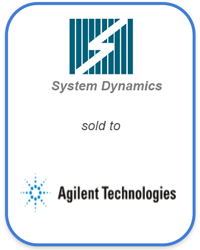 Sole supplier of software component to Agilent (NYSE: A), a very large multi-national company, for an important product line. High customer concentration as Agilent represented the vast majority of SDI’s annual revenue. Although there was a natural incumbent buyer (Agilent), Synergy maximized value by creating a competitive process – prepared marketing materials, financial model, etc. and simultaneously approached other leading multi-national equipment competitors – and negotiating effectively against a behemoth.